Bring your home to life with our selection of original artworks from new graduates and established artists like Sophie Derrick. 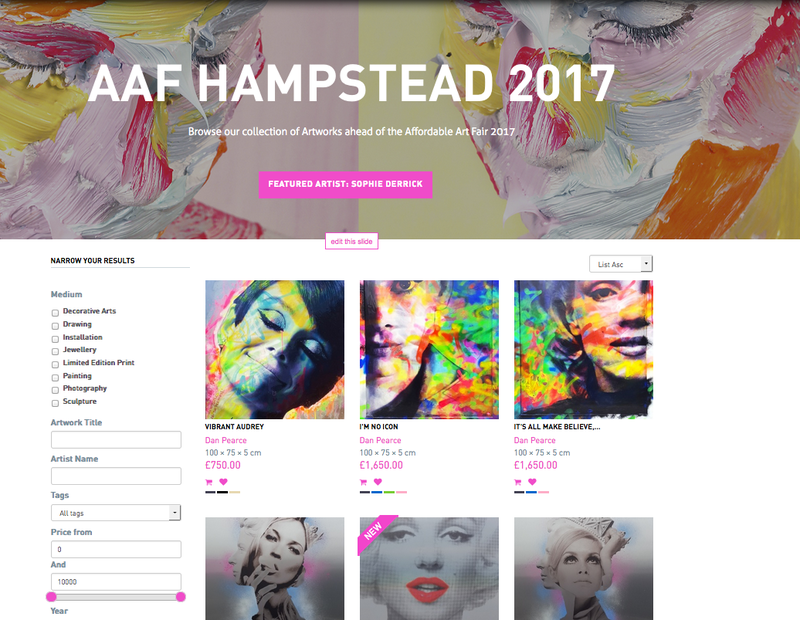 The annual showcase brought to you by Affordable Art Fair, in Hampstead Heath offers you the potential to own an artwork from as little as £100 to £5,000. Join us this May Stand A5 from 11th -14th May 2017. Browse our preview collection here.